Hampton Park Basketball Association Inc.
PO Box 234 Hampton Park Vic 3976 Hampton Park Sports Centre Corner of Fordholm Road and Campbell Drive Hampton Park. Melways Ref. 96 D9. Our headquarters are located at the Hampton Park Sports Centre in the grounds of Hampton Park Secondary College. We have three courts that are used for all domestic competitions as well as our representative Pioneers program. The association caters primarily for local residents or anyone that has limited playing opportunities at the larger nearby venues. The stadium runs beginners sessions every Saturday morning from 9am - 9.45am. There are U-14 (mixed), U-16, U-18 and Youth domestic competitions on Saturdays from 9am onwards (contact us for more details). We also hold an Open age men's competition on Wednesday nights. 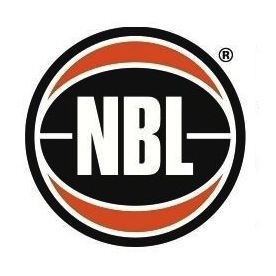 Melbourne Metropolitan Basketball League games are also played on Wednesday nights at various locations. The Association is heavily involved in playing at the Representative basketball level, and the Pioneers certainly have a large presence come finals. To become a pioneers player you are required to play in our domestic competition and then need to be selected in our rep ball try-outs held late in the year. We always make room for more teams and players of any level and ability. Referee courses are run during the year so you can learn to ref as well as play! Fun, friendship and fitness can be found at this family oriented venue and we welcome any enquiries that you may have.